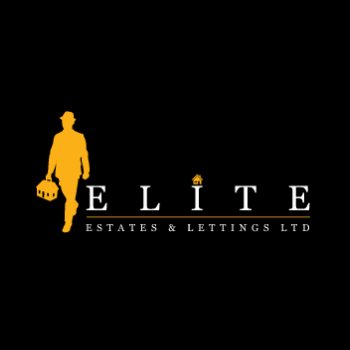 INTRODUCTION Elite Estates are delighted to offer to the market this fine example of a property that has been reconfigured, extended and refurbished to create a magnificent family home in excess of 2500sqft. 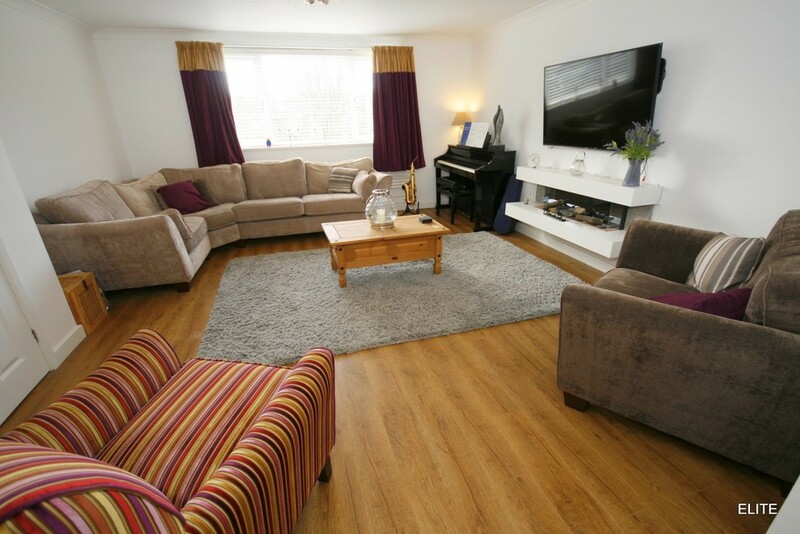 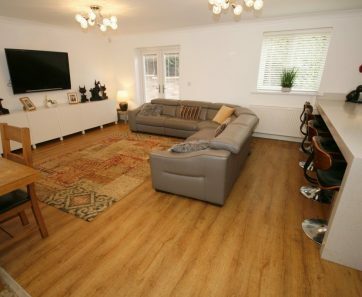 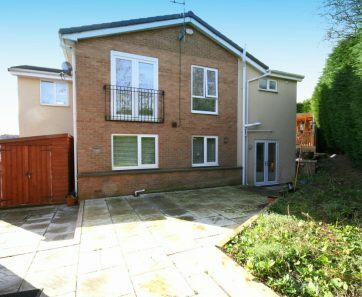 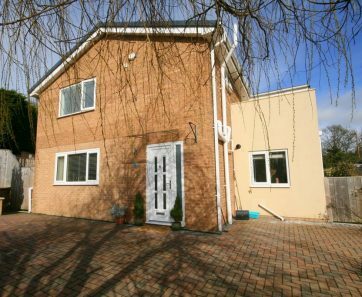 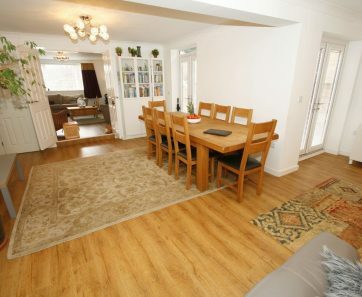 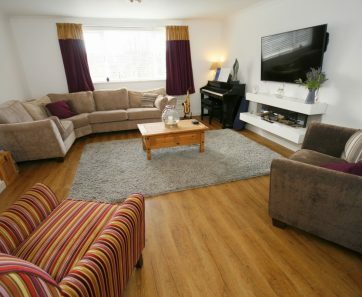 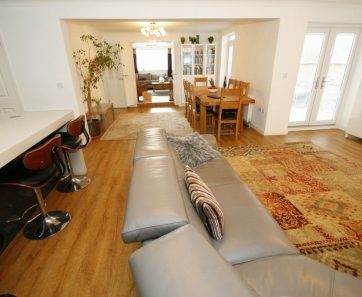 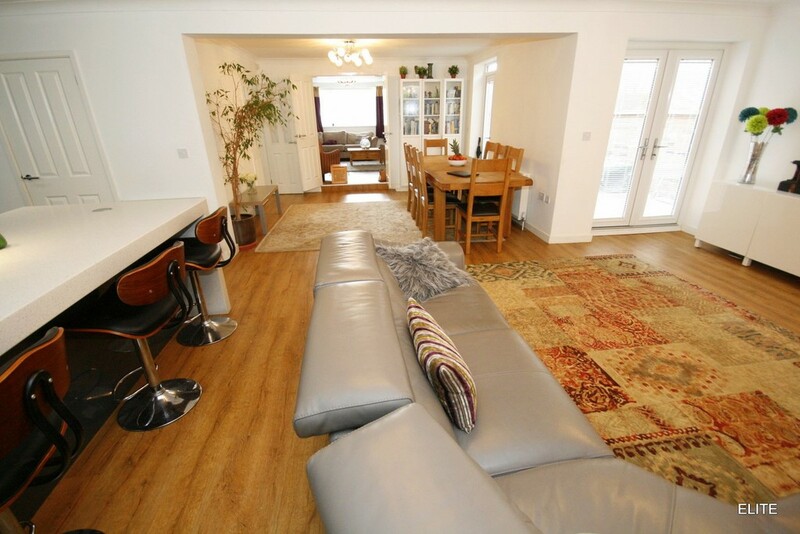 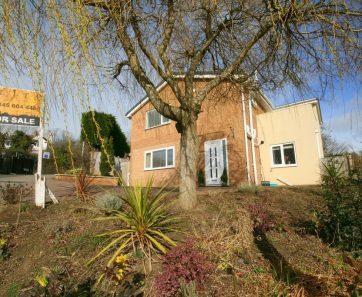 Archery Rise is well known for "upside down" homes, however this 2 storey home now offers typical living due to the scale of this refurbishment with an extremely spacious Reception hall and living to the ground floor and bedrooms to the first floor. 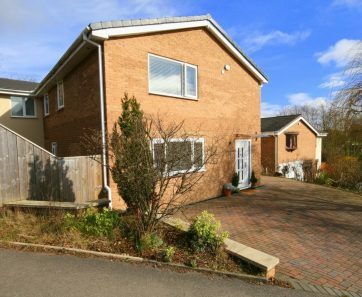 Much time, thought and dedication given to produce this exceptional home in the most sought after location in Durham city. 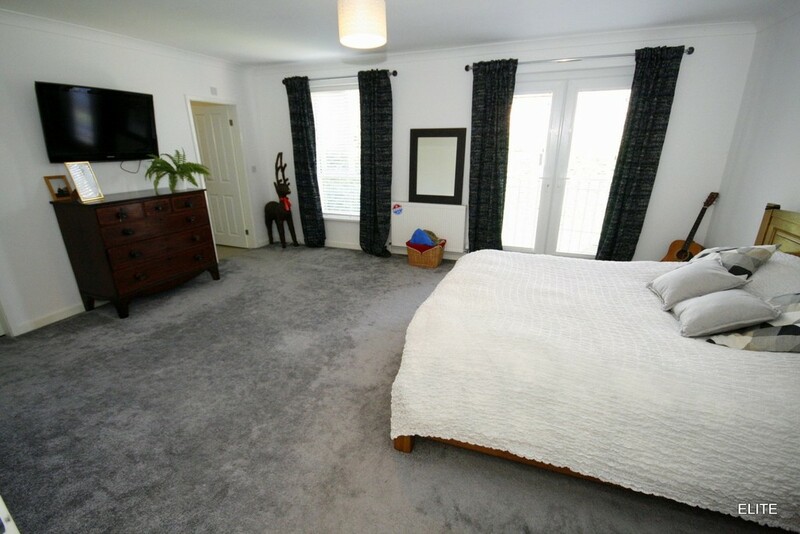 The property comprises: Reception hall, Formal lounge, Open plan Living/relaxing/dining/kitchen, Utility, Home office, WC, Five double bedrooms, three bathrooms. 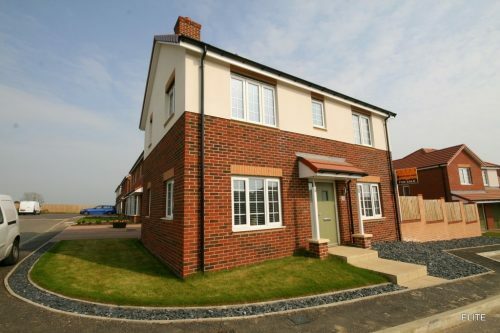 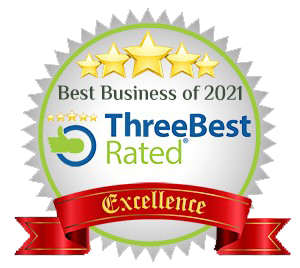 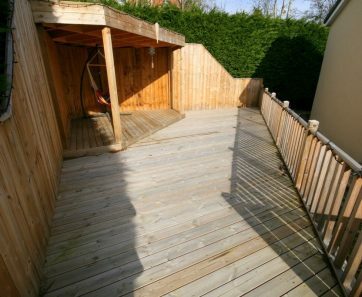 Externally there is a block paved drive for ample parking and a wrap around enclosed garden designed with a large raised decked area and patio. 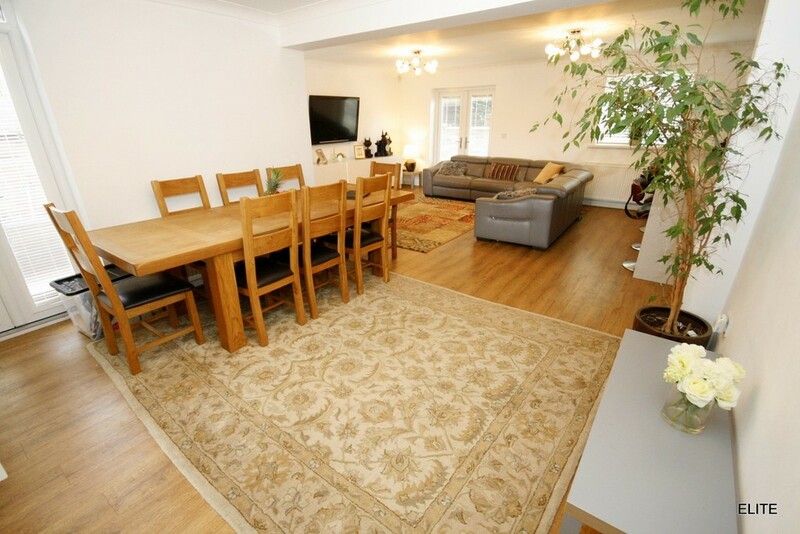 LOCATION This central location has for many years proved to be one of the most sought after in the City and the nearby Clay Lane pathway provides a superb wooded walk leading directly into the City centre, the Riverside and World Heritage sites of the Castle and Cathedral. 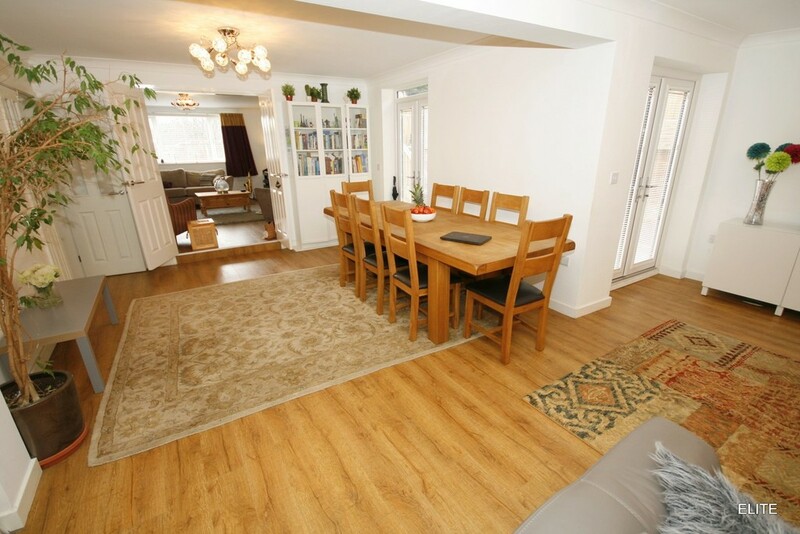 Ideally placed within catchment areas of primary and secondary education, Archery Rise provides the perfect mix of suburban and city living. 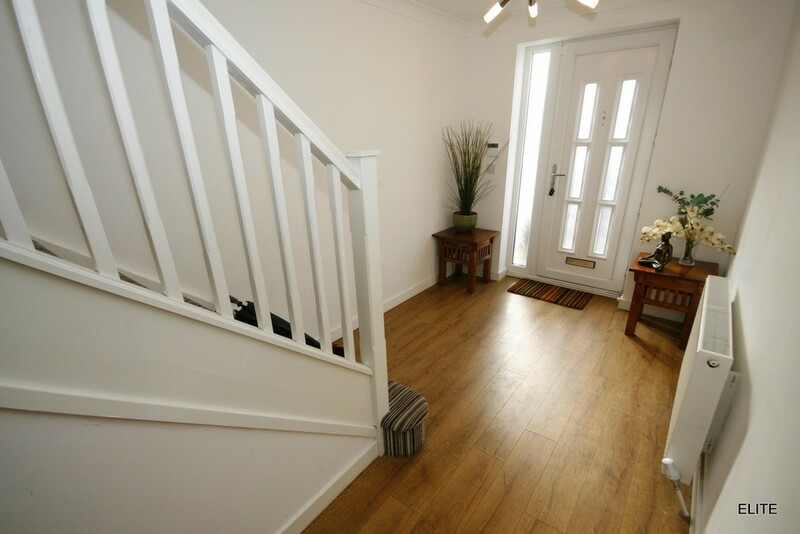 Access via road links is also easily obtained by the nearby A167 which provides links both North and South to both Chester le Street and Darlington as well as the nearby A1(M) motorway (3½ miles) for locations further afield. 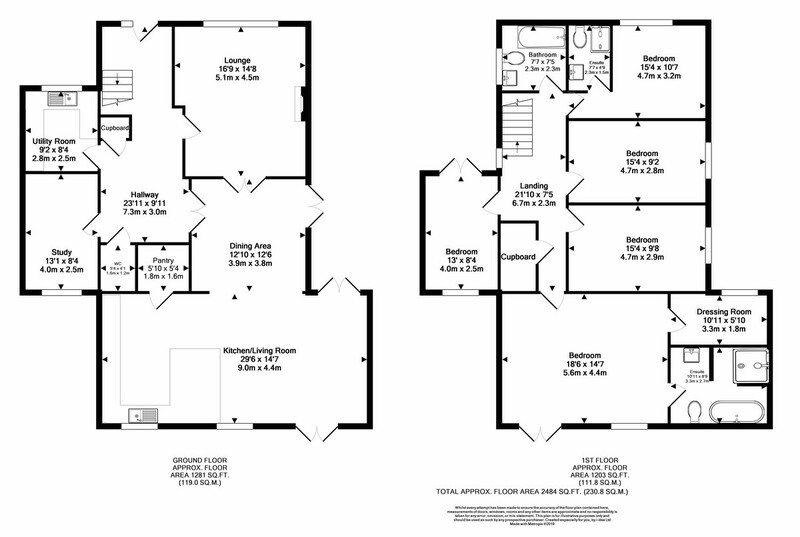 RECEPTION HALL 24' 6" x 7' 5" (7.480m x 2.283m) Accessed via a contemporary six glass paneled front door with chrome fittings and side light, into this exceptional reception hall measuring in excess of 24ft in length, complete with wood flooring and contrasting white crisp walls coving to ceiling and wide feature stairs with curved first tread, white spindles and hand rail. 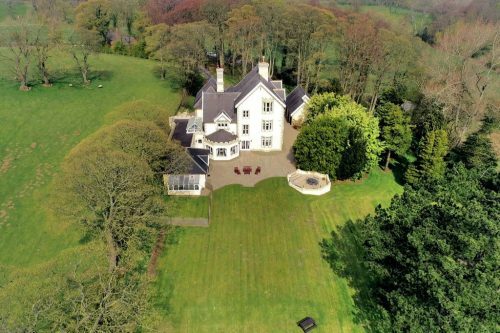 An imposing reception hall is just the start of this magnificent family home. 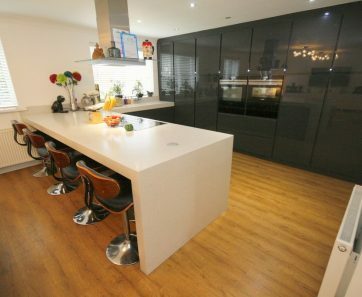 OPEN PLAN RELAXING/DINING/KITCHEN 27' 10" x 27' 4" (8.486m max x 8.348m max) Spectacular in design and most certainly the hub of this family home. 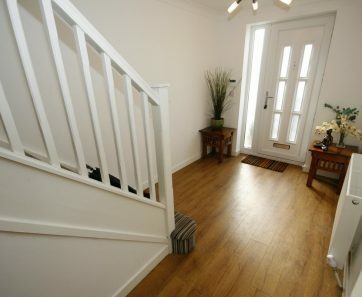 Double doors lead from the formal lounge and can be accessed from the reception hall too. 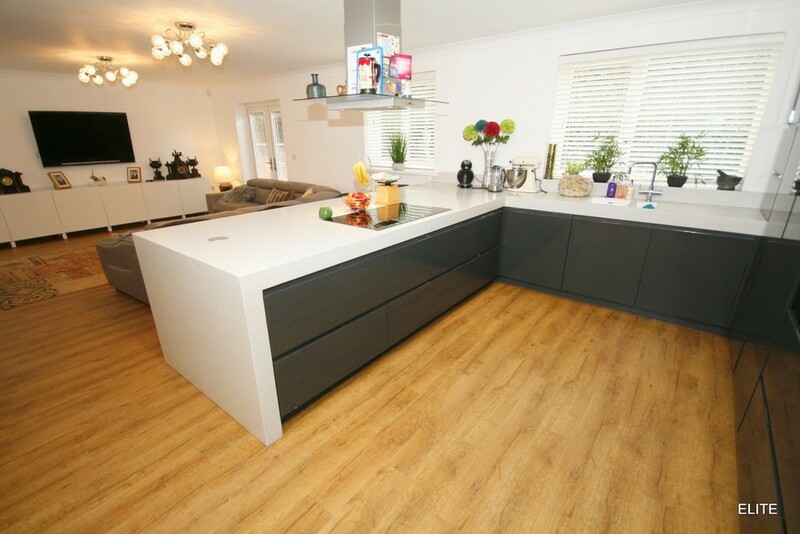 The vast space combines an area for relaxation and dining with an open plan kitchen. 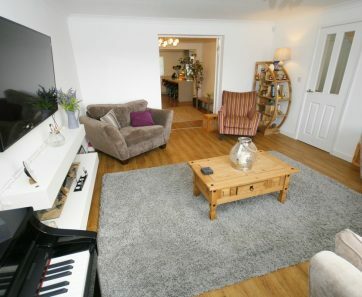 It is not difficult to see why the current owners spend much time in this beautiful space. 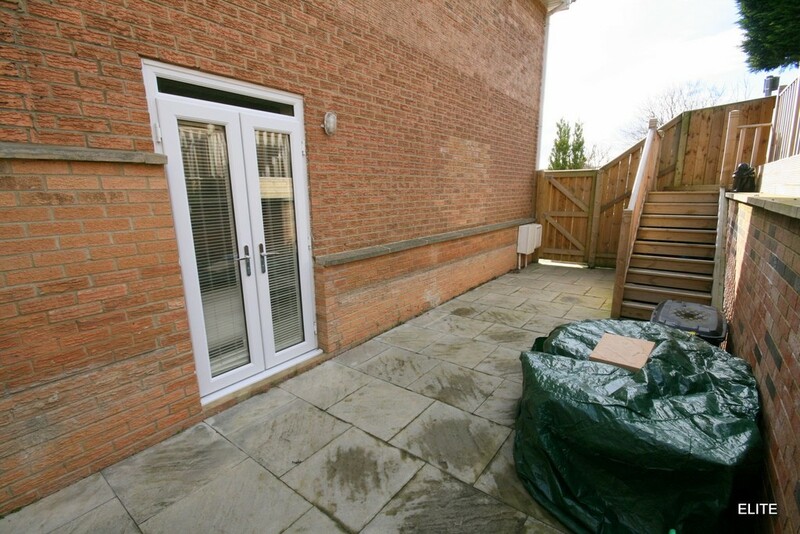 The room combines two sets of French doors giving access to the external space along with a further two windows allowing natural light to flood through. 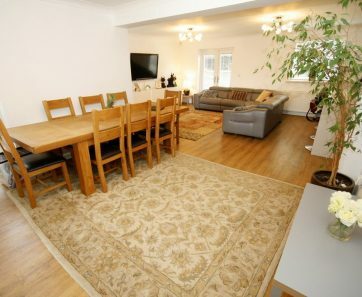 Central light to the dining area, two ceiling lights to the relaxing/kitchen plus recessed spotlights. 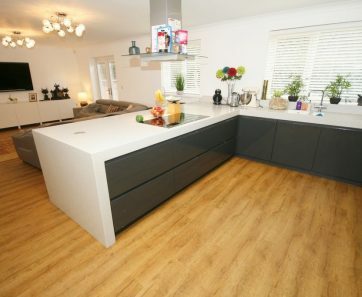 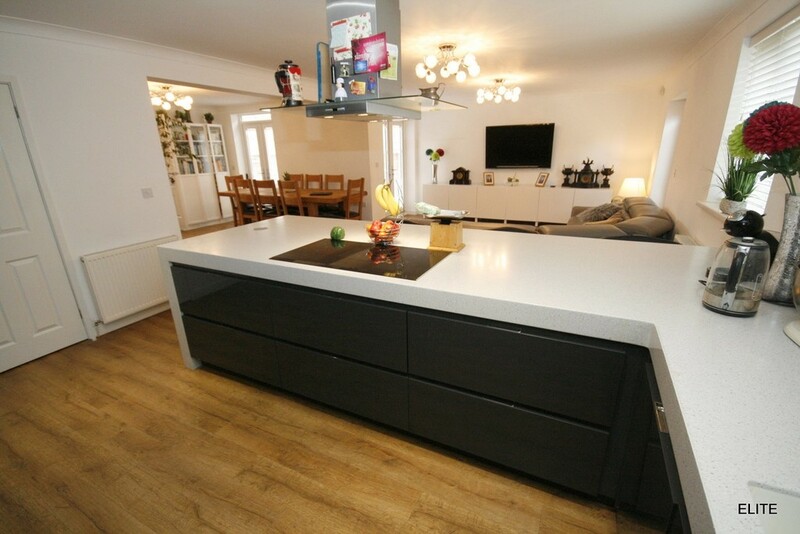 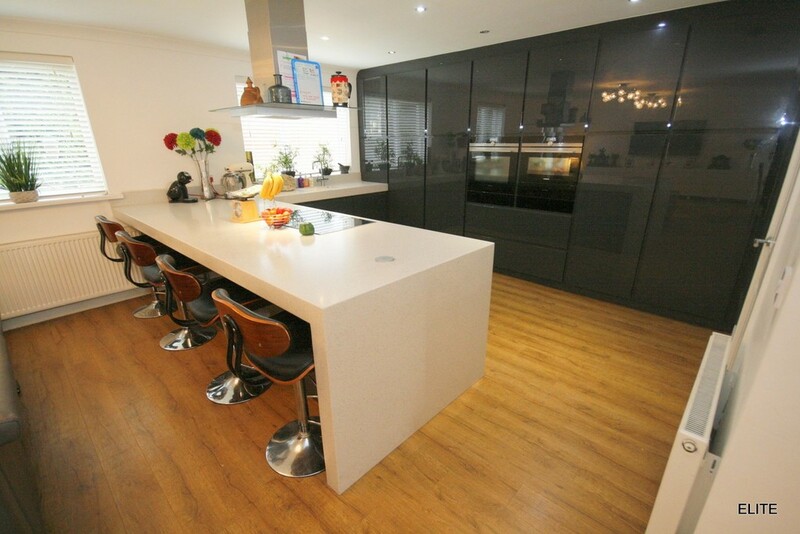 The open plan bespoke graphite high gloss kitchen comprises soft closing wall and base unit doors including pan drawers and a stunning feature floor to ceiling cabinet range housing DOUBLE two tone black and chrome eye level ovens by SIEMENS. 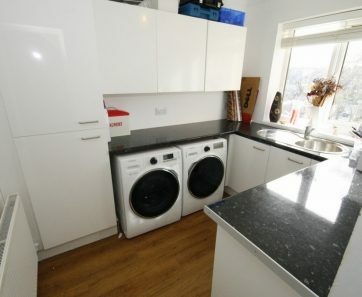 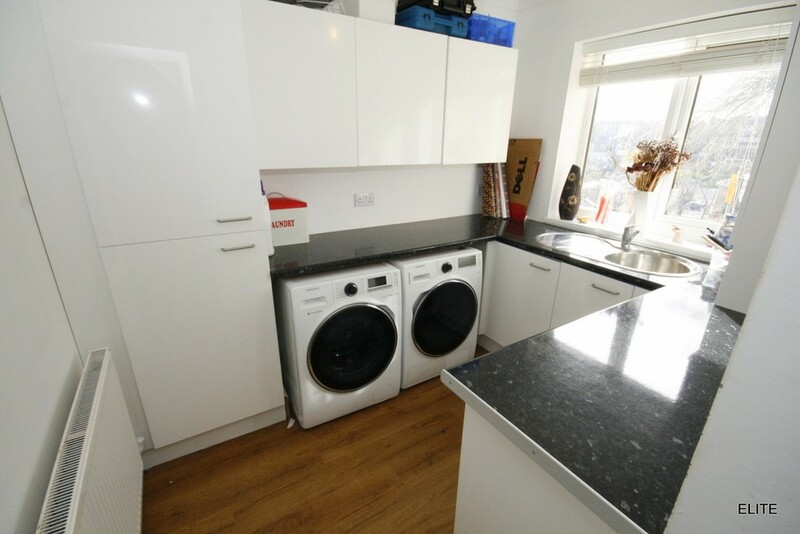 TWO integrated dishwashers by SIEMENS and a waste disposal unit. 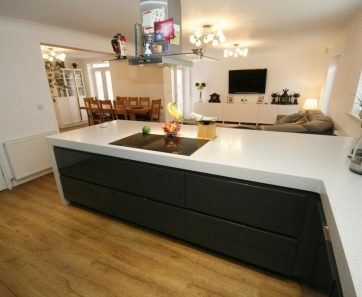 The well planned cooking area with base units and beautiful deep white CORIAN work surfaces include a superb breakfast bar, accommodating a six ring burner ceramic INDUCTION hob with ceiling mounted contemporary stainless steel and glass extractor hood. 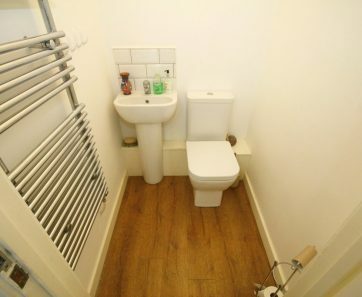 There is an inset sink with chrome mono-bloc mixer tap and boiling filter water tap too. 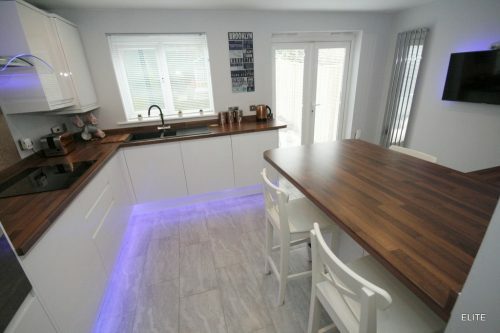 Last but by no means least a clever us of space with a walk-in larder/pantry with lighting. 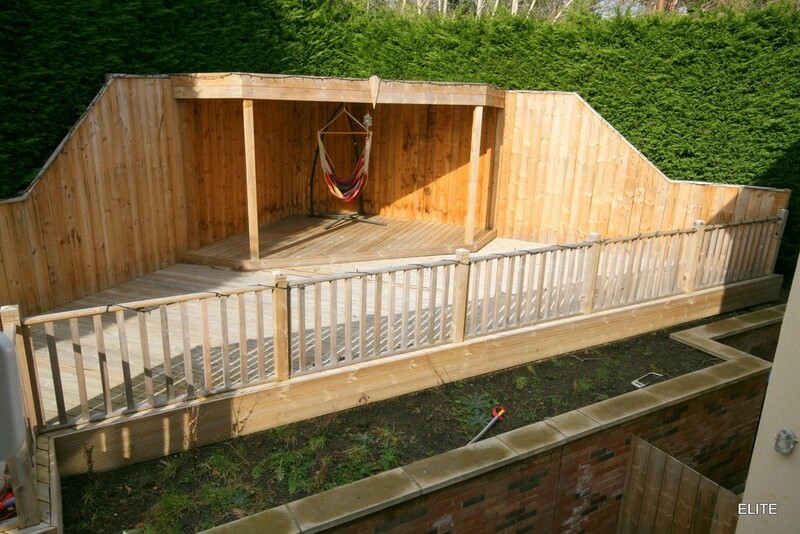 The layout of this magnificent space makes it perfect for socialising and entertaining. 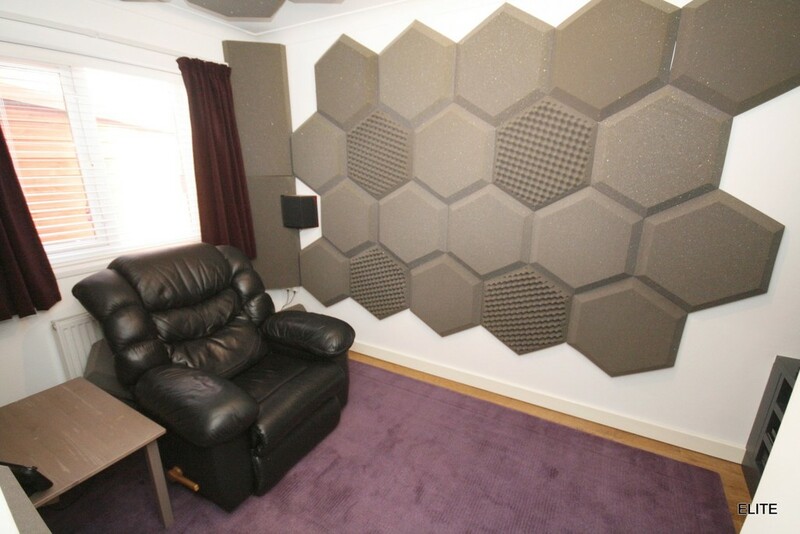 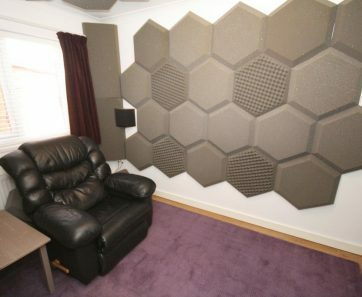 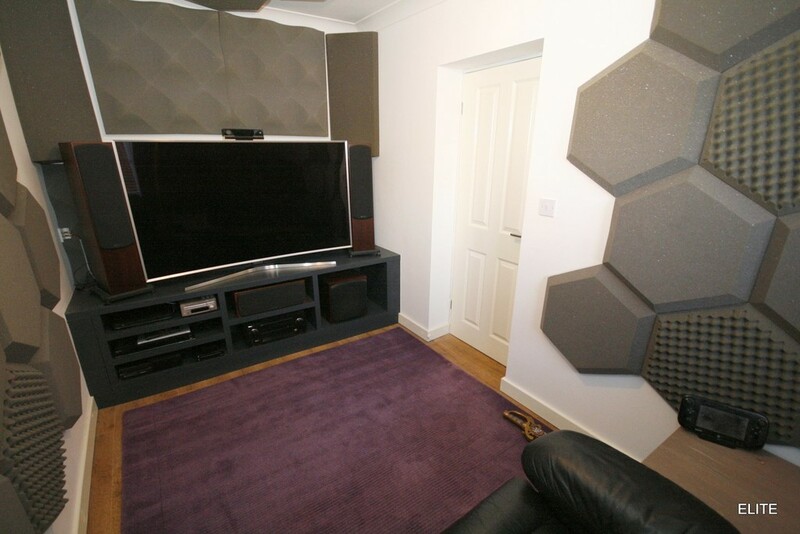 HOME OFFICE 13' 9" x 7' 3" (4.201m x 2.218m) Although described as the home office the current owners utilise this as a home-cinema/music room. 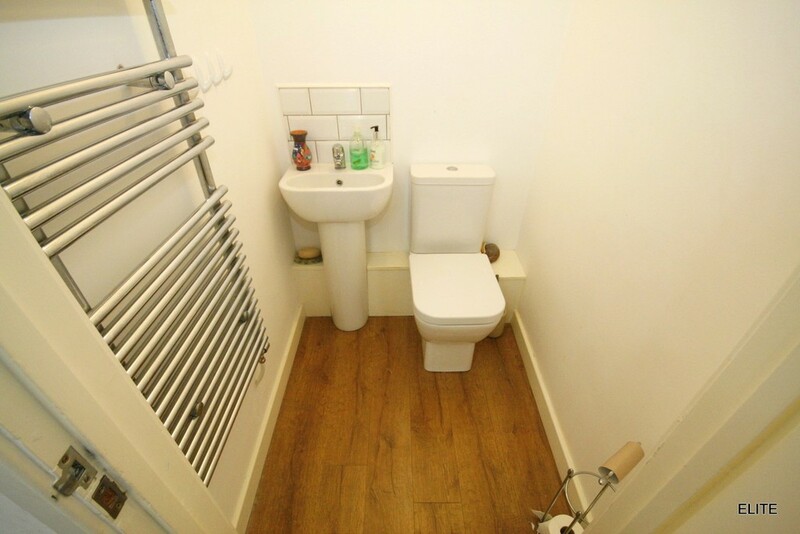 WC Comprises oak effect flooring, white WC, hand basin, chrome heated towel rail, wood flooring, central light. 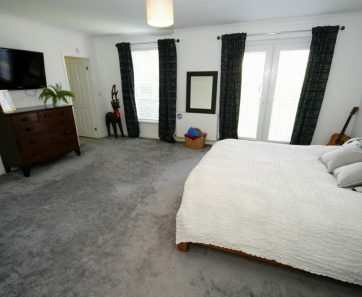 MASTER BEDROOM 18' 3" x 15' 1" (5.583m x 4.611m) A true feeling of a Master suite given the size and design of this superb bedroom. 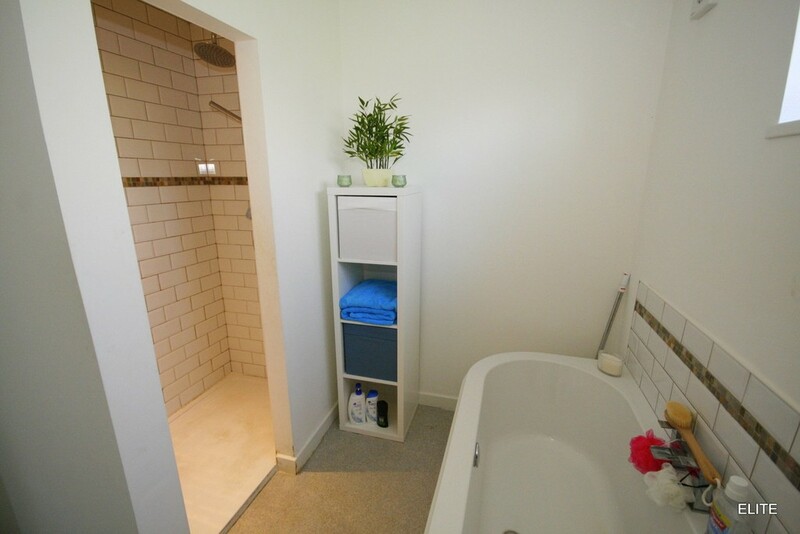 The room dimensions exclude the walk-in wardrobe and ensuite. 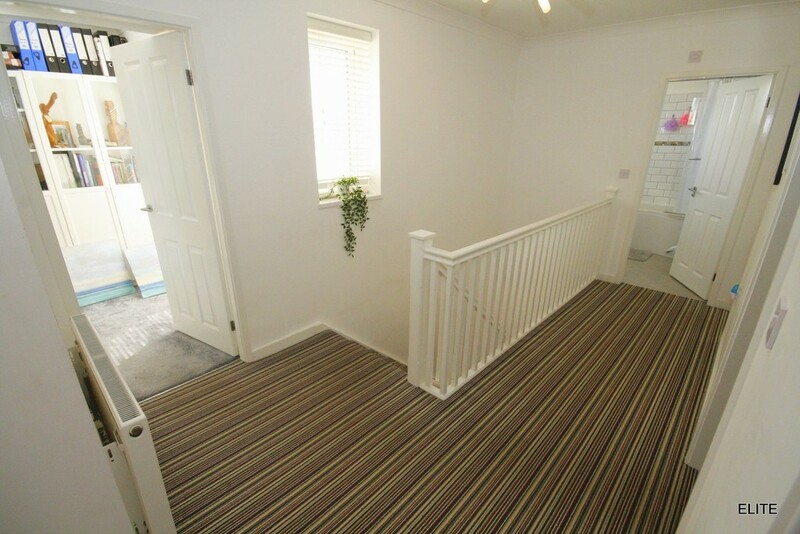 Decorated in calming tones with silver grey carpet. 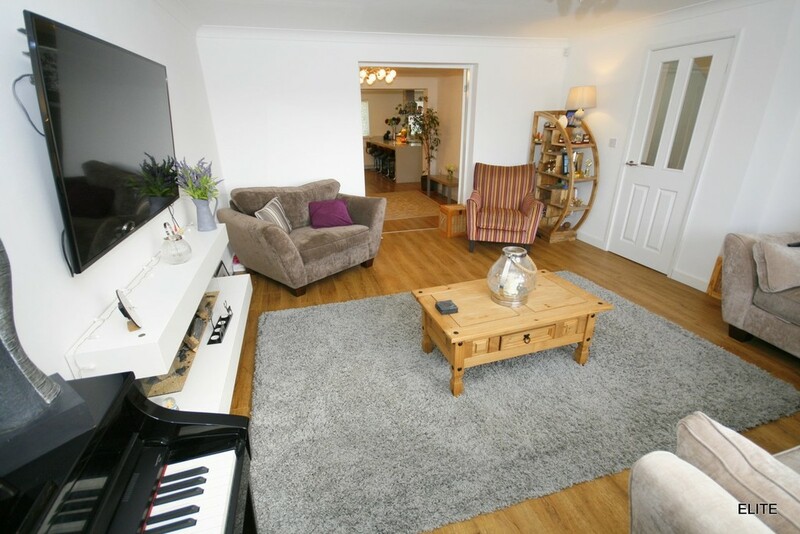 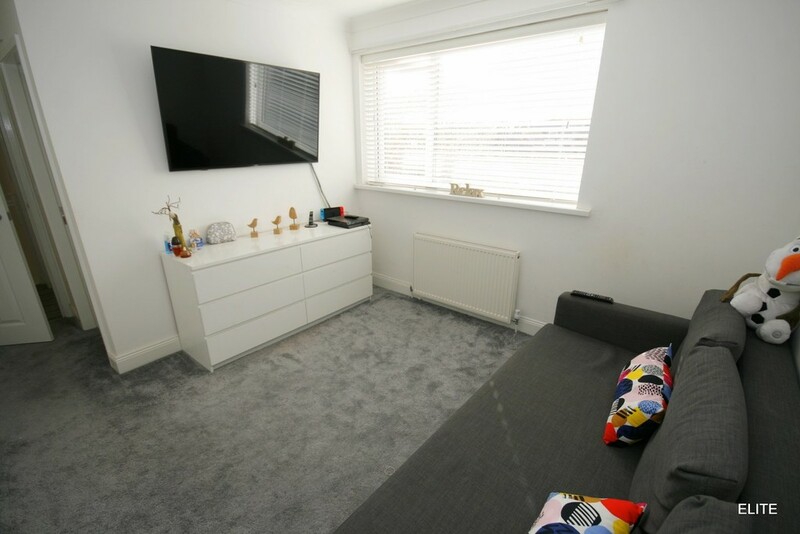 French doors with a Juliet balcony and a second over sized window feature in this beautifully presented room, coving to ceiling, central light, TV point for wall mounted TV, a door leads to the en-suite whilst a second door leads to the walk-in wardrobe. 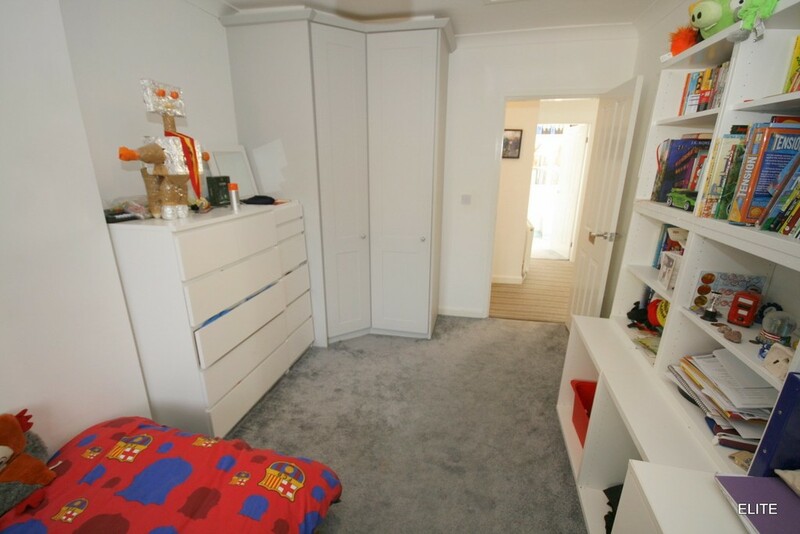 WALK-IN WARDROBE 11' 7" x 5' 6" (3.536m x 1.698m) With built in hanging rails, shoe racks, storage, lighting and window. 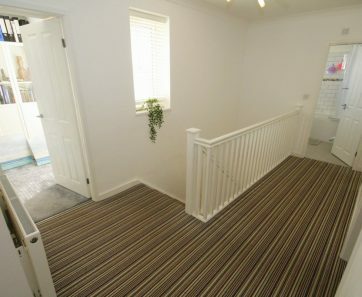 Silver grey carpets. 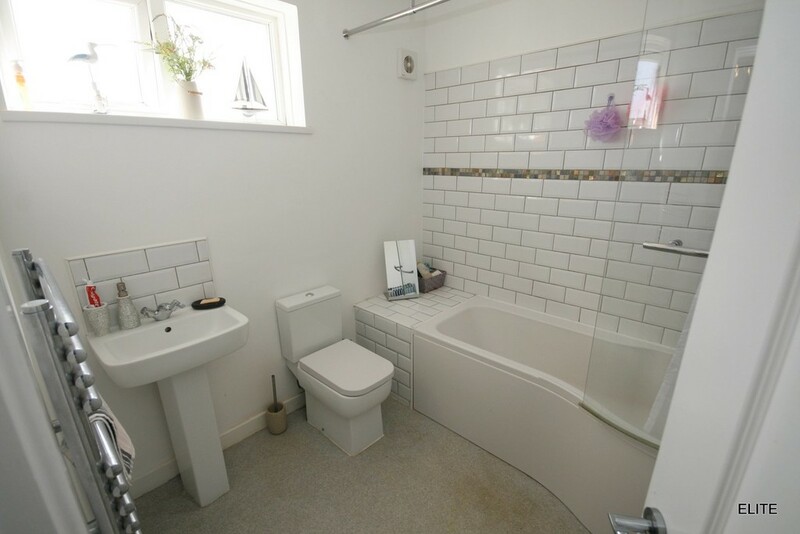 MASTER ENSUITE 11' 1" x 8' 8" (3.399m x 2.655m) Excellent in proportion and benefitting from a superb curved double ended bath with central waterfall chrome mixer tap. 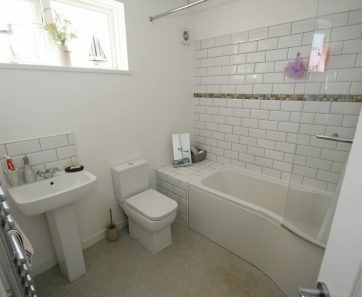 A purpose built walk-in shower/wet room with white brick effect tiling and feature mosaic border, chrome rain water effect shower head and separate hand held set, pedestal hand basin and low level WC. 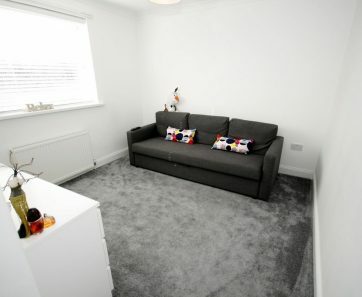 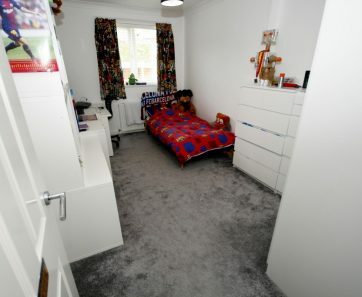 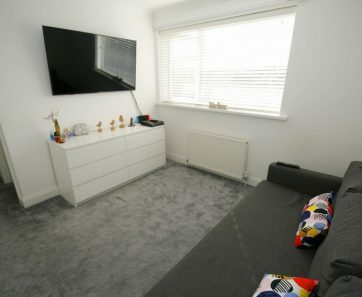 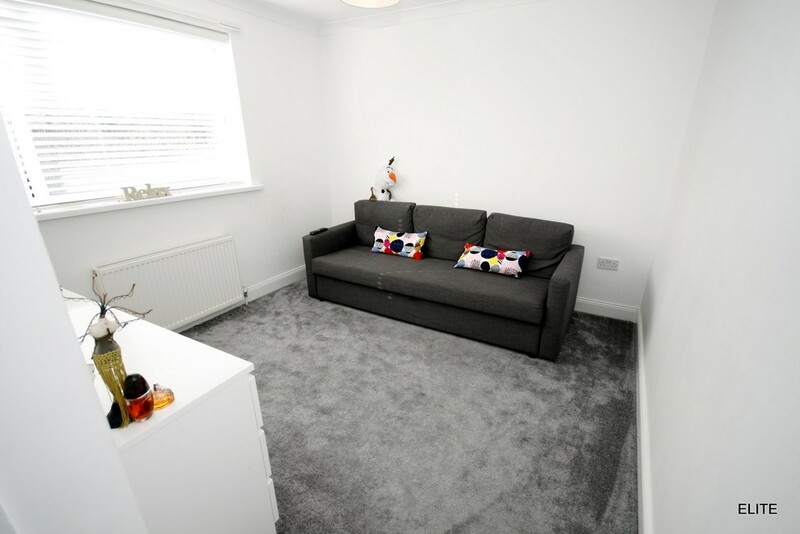 BEDROOM TWO 14' 11" x 9' 2" (4.570m x 2.807m) A spacious and extremely well designed second double bedroom currently accommodating a single bed to suit the owners requirements, perfect for a growing teenager. 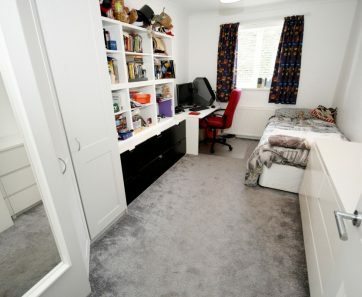 Built in wardrobe and substantial space for a study area too. 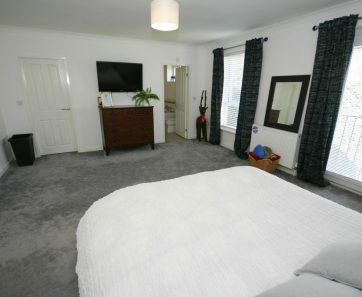 Coving to ceiling central light, silver grey carpet and window positioned at the side elevation. 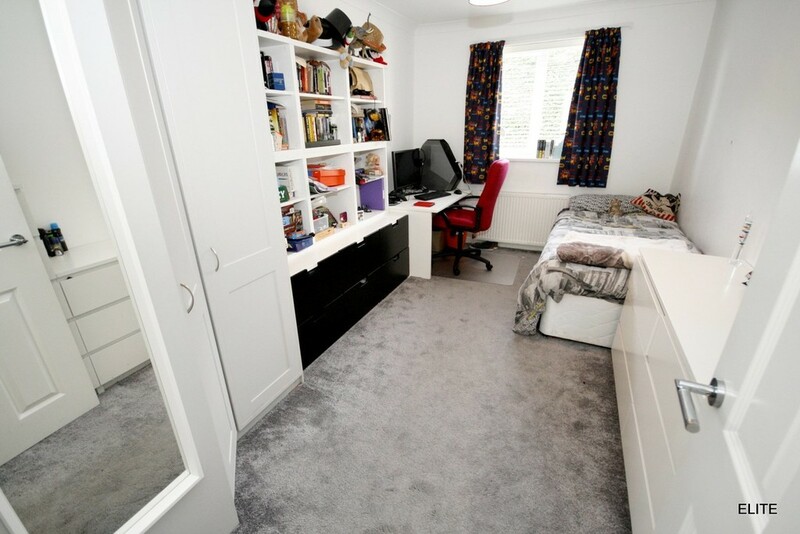 BEDROOM THREE 15' 0" x 9' 3" (4.576m x 2.843m) This double bedroom mirrors bedroom two, also complete with built in wardrobe, study area, coving to ceiling, central light, silver grey carpet and window to side elevation. 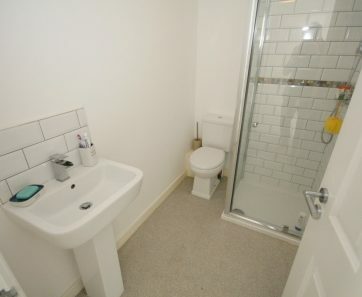 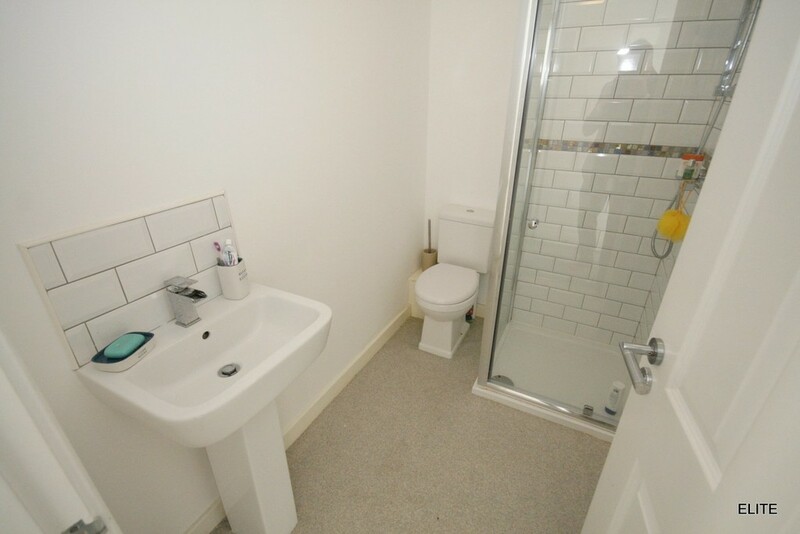 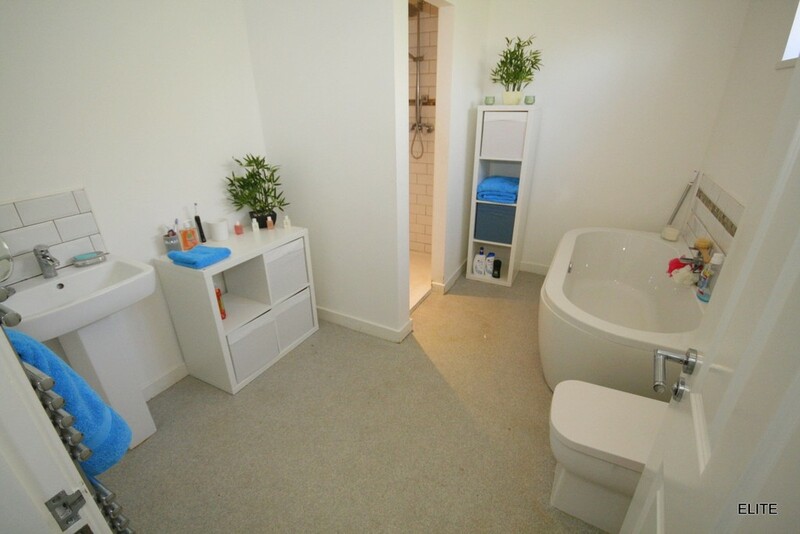 ENSUITE 7' 3" x 4' 8" (2.225m x 1.423m) Comprises chrome shower cubicle with white brick effect wall tiling and feature mosaic border, white pedestal hand basin, low level WC. 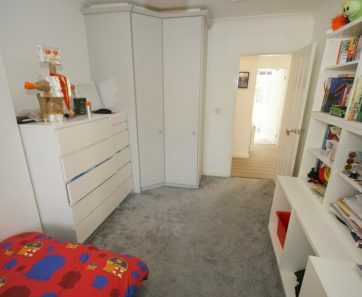 BEDROOM FIVE 13' 8" x 7' 2" (4.181m x 2.198m) An extremely interesting room currently utilised as a home office. 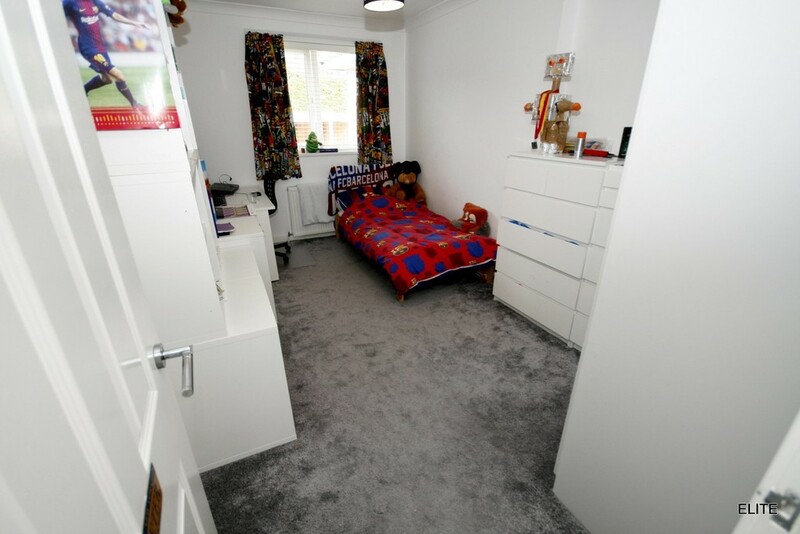 No doubt this bedroom will certainly be in demand with growing teenagers having French doors to a terrace and balcony with views. 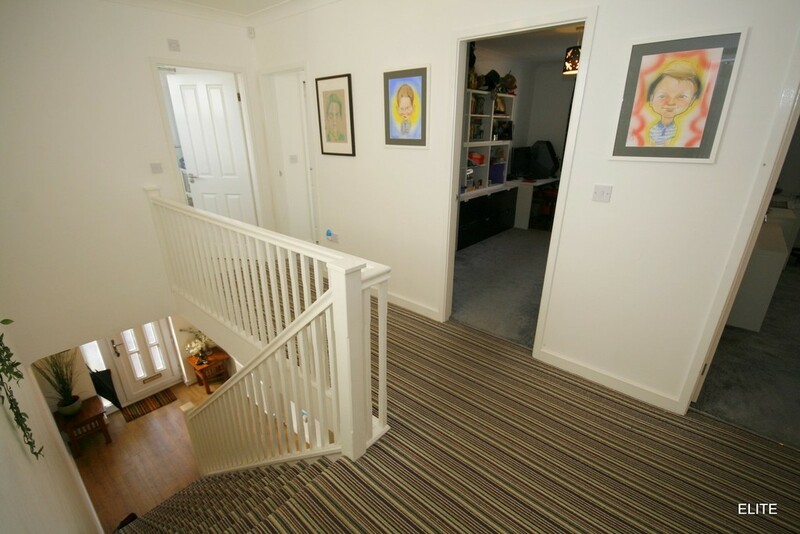 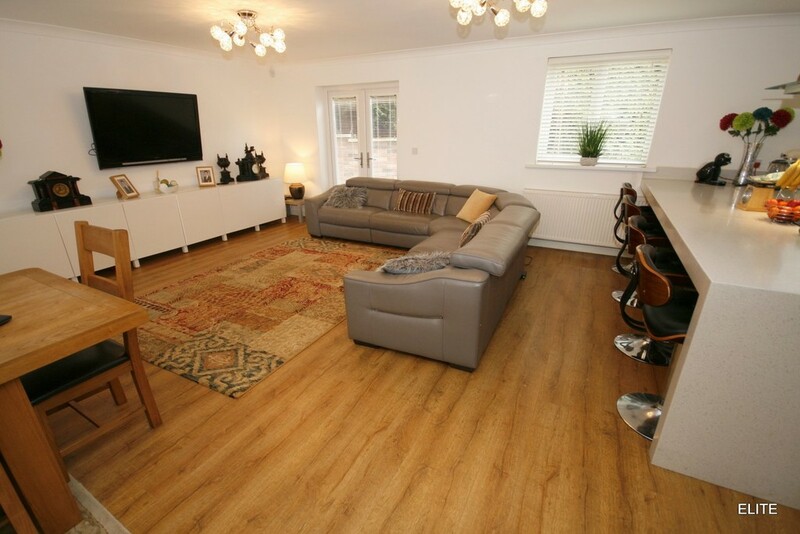 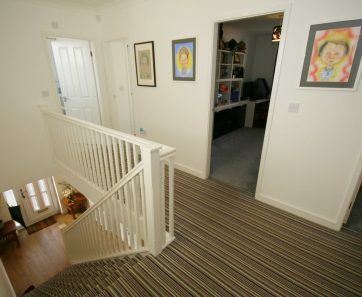 A second window overlooks the rear garden, white walls, coving to ceiling, central light and silver grey carpets. 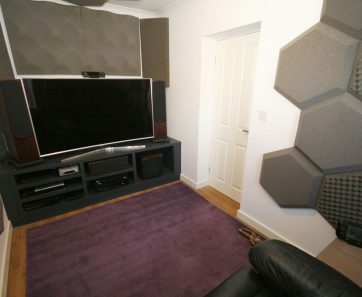 Something quite different and versatile. 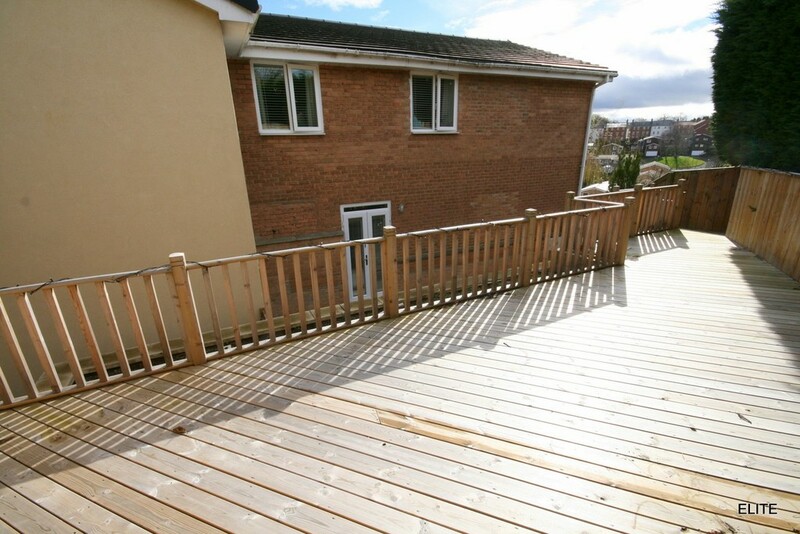 TERRACE/BALCONY Accessed from the French doors is this fabulous addition to this magnificent family home, providing a very scenic outlook. 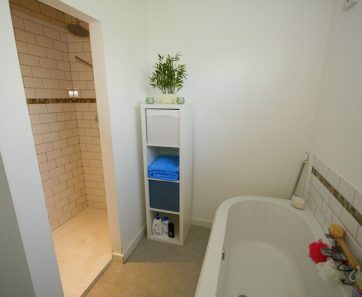 MASTER BATHROOM 7' 3" x 7' 3" (2.221m x 2.219m) A stylish modern curved shower bath suite, includes a modern shaped shower/bath and glass screen, tiled shelf for towel storage, white brick effect wall tiling with feature mosaic border, low level WC and pedestal hand basin. 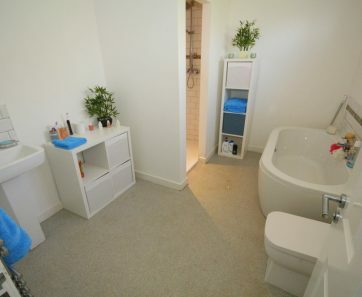 This stylish design enhances the appearance of this modern bathroom, practical and stylish. 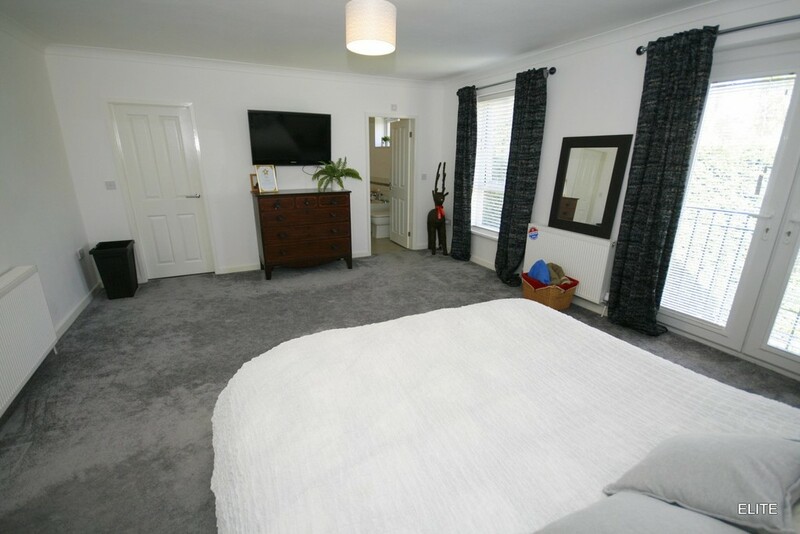 The minimalist styling of the suite gives a clean modern look for today's lifestyle. 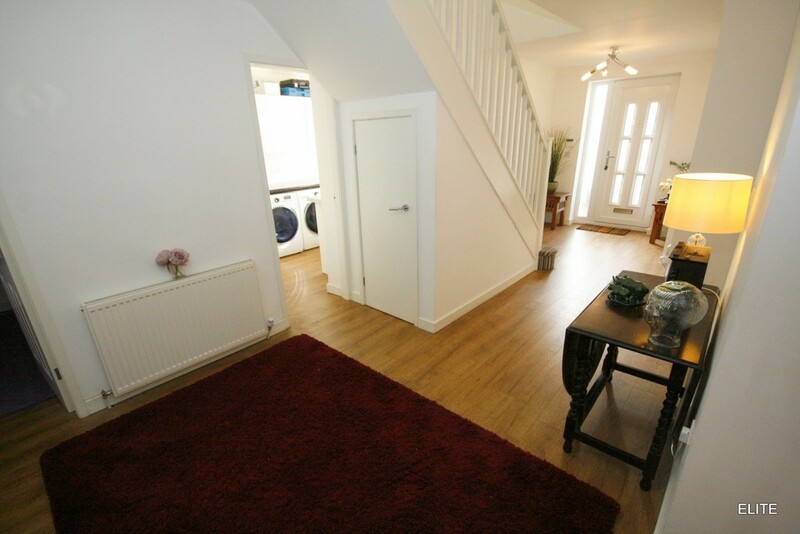 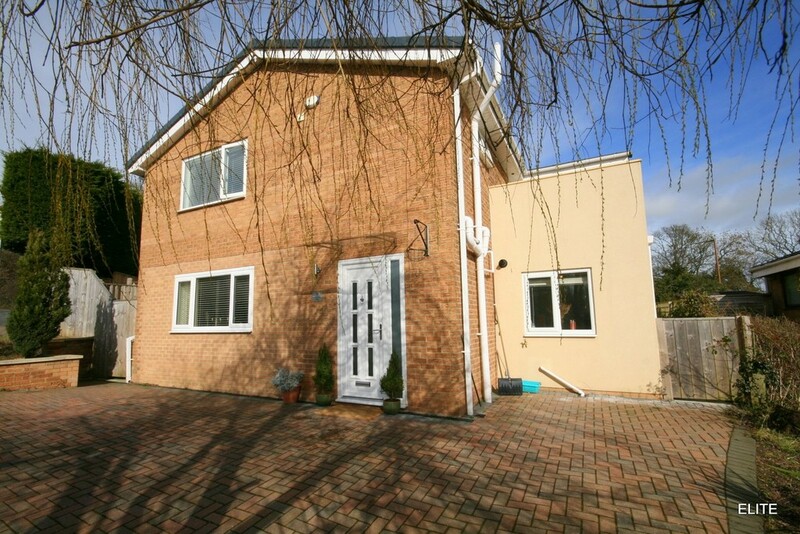 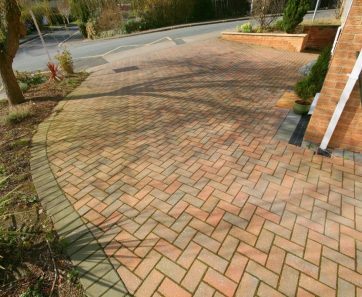 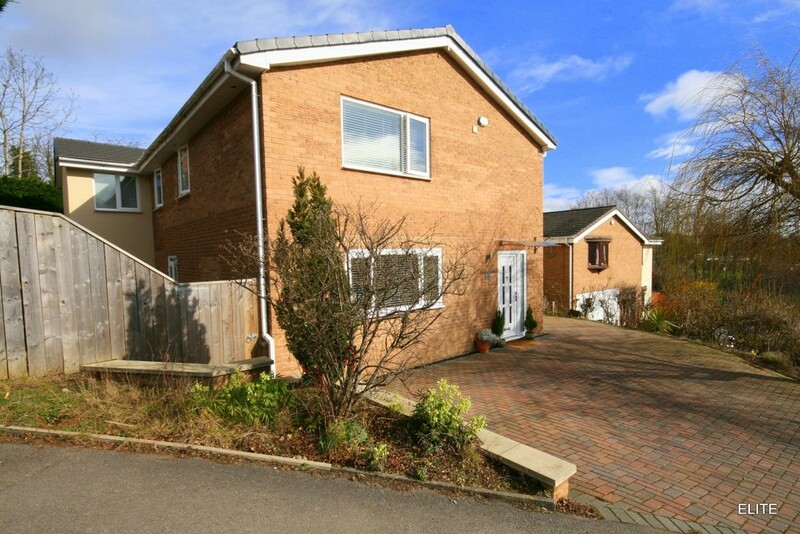 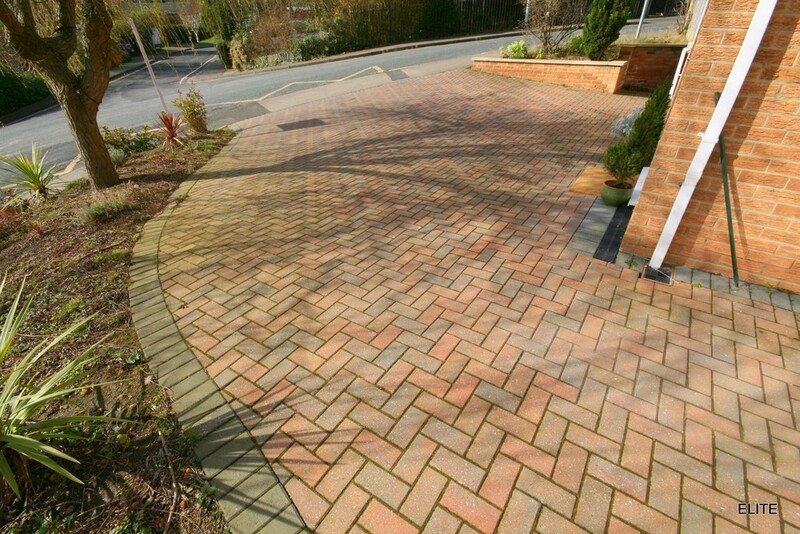 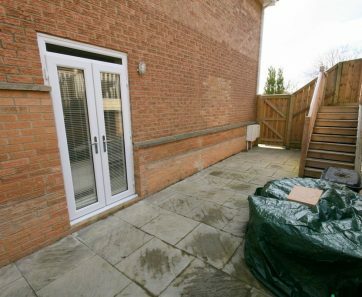 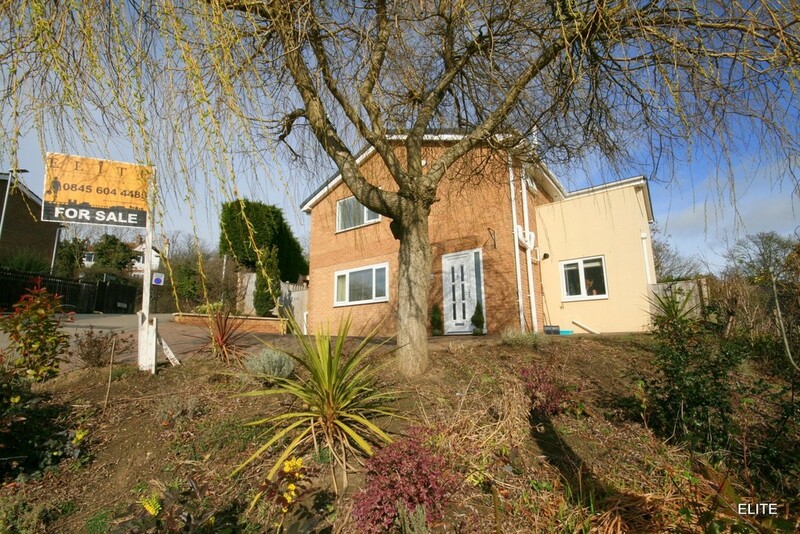 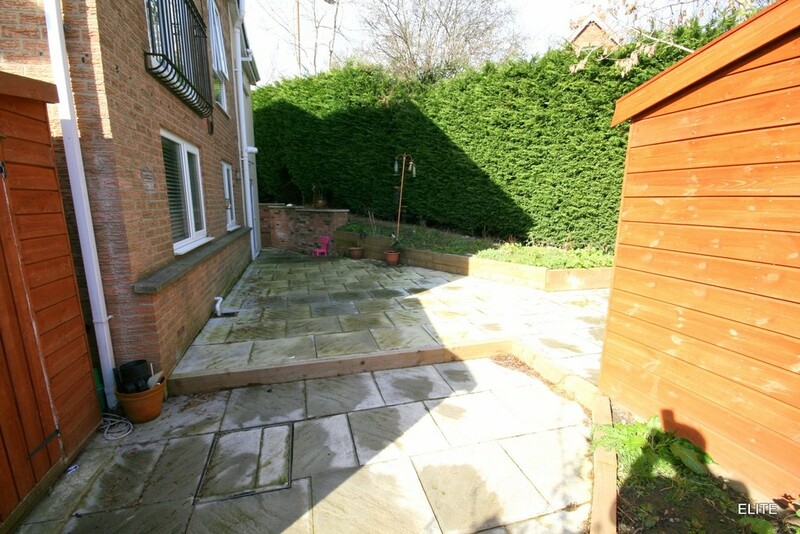 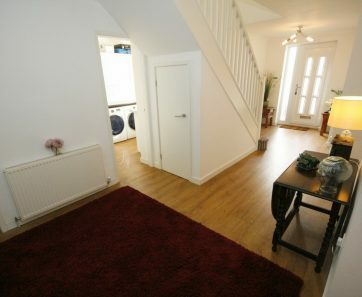 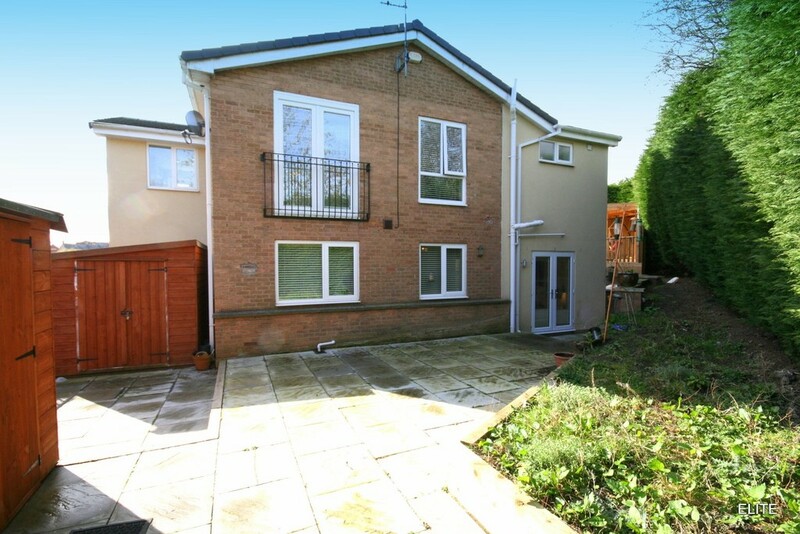 EXTERNAL To the font of the property there is a block paved drive providing ample parking, leading to the front door. 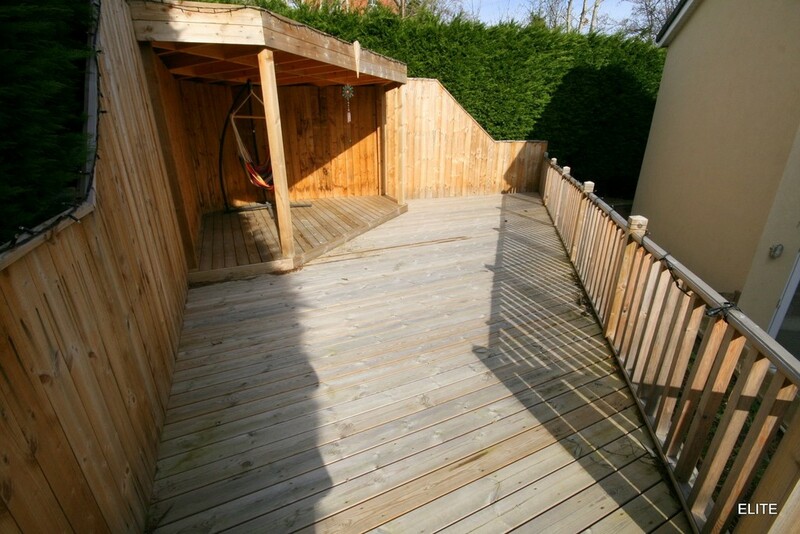 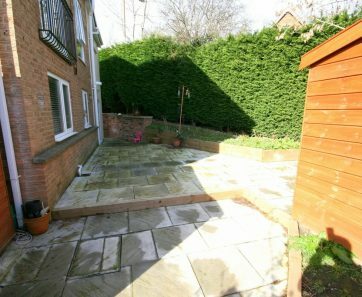 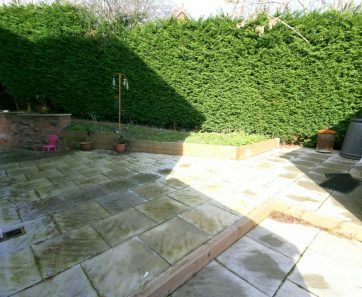 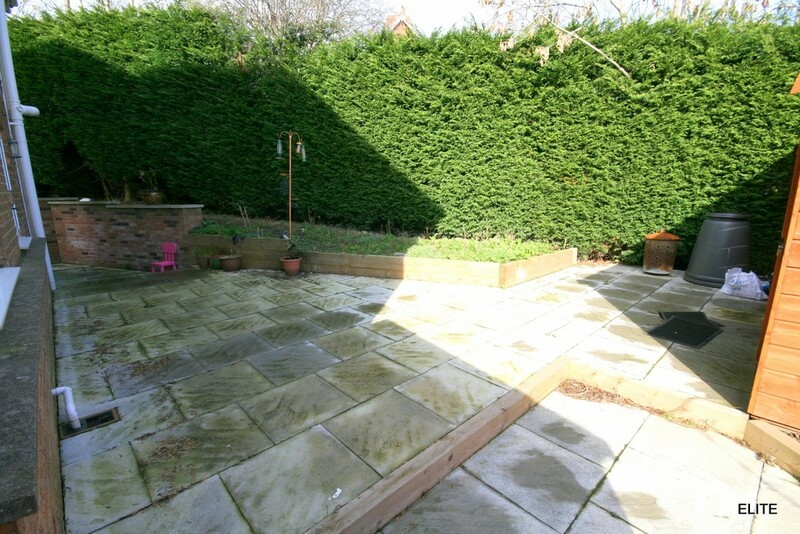 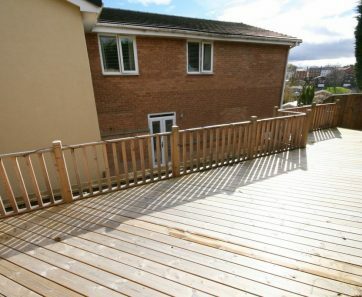 To the rear of the property is a private area bordered by high conifers for extra privacy and to the side a spacious patio and steps leading to the fabulous raised decking area with closed in seating area perfect for alfresco dining. 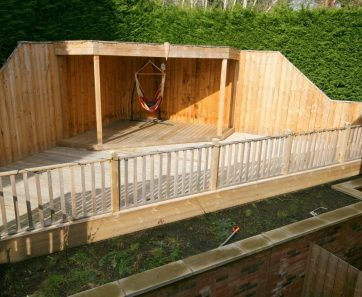 This wrap-around garden has been very cleverly designed providing excellent use of outside space.